Be The Difference Foundation’s mission is to help fight ovarian cancer through raising funds for research, treatments, and screening. 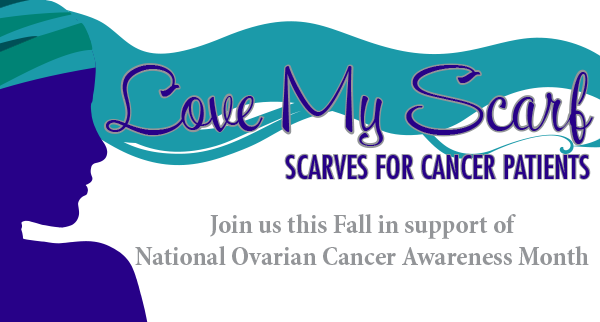 This fall The Foundation is also supporting women who are currently fighting ovarian cancer with Love My Scarf, a project that needs help from volunteers like you to donate beautiful handmade scarves to use as head coverings. To help support The Foundation and the Love My Scarf project, WeAllSew will be sharing a special scarf project how-to on September 1st as part of the upcoming Love My Scarf blog tour. Find even more inspiration for your handcrafted head scarf at the Designs in Machine Embroidery blog when the Love My Scarf blog tour starts on Wednesday, August 28th.